HAVE AN IDEA you want made out of fibreglass. if you can think it we can make it. The nature of composites means that you are only limited by your imagination when it comes to what we can design and fabricate for you. Fiberglass is a strong lightweight material and is used for many products. Although it is not as strong and stiff as composites based on carbon fiber, it is less brittle, and its raw materials are much cheaper. Its bulk strength and weight are also better than many metals, and it can be more readily molded into complex shapes. Fiberglass is an immensely versatile material due to its light weight, inherent strength, weather-resistant finish and variety of surface textures. ​ Applications of fiberglass include aircraft, boats, automobiles, bath tubs and enclosures, swimming pools, septic tanks, water tanks, roofing, pipes, cladding, casts, surfboards and external door skins. Here at FDL we offer a complete project management services, from scoping customers requirements, through design, manufacture, finishing and installation if required. This is not always limited to composites, and our broad network of subcontractors and customers gives us the ability to choose the optimum process and material for your project. We have never been a company that would insist on Composites when another material will be better suited. We have, on the other hand, pointed out where composites are more suited, and have made significant savings for our customers, by doing a redesign to achieve a better product and/or better cost. We like to call this the unseen advantage of working with FDL. Specially designed coating incorporating carborundum sand embedded into fibreglass laminate to give a hard wearing non-slip surface. All of our staff are masters at their craft and repairs to any fibreglass panels or fixtures can be carried out to our high standards. Complete in-house design capabilities from concept or sketch through to prototype. Solid works computer modelling allows full set up and rendering through to production of programs for our 5 axis CNC machine if required. Our pattern and mould makers have many years of experience in the industry, ensuring each component is constructed in the most efficient method. For production of Steridor (Hygiene doors) Which includes a hydraulic press, vacuum table, and temperature control facilities. Click on the link above to find out how we can help you with your Hygiene door needs. We have the largest flat mould in New Zealand, measuring 16.8 metres x 3.7 metres. 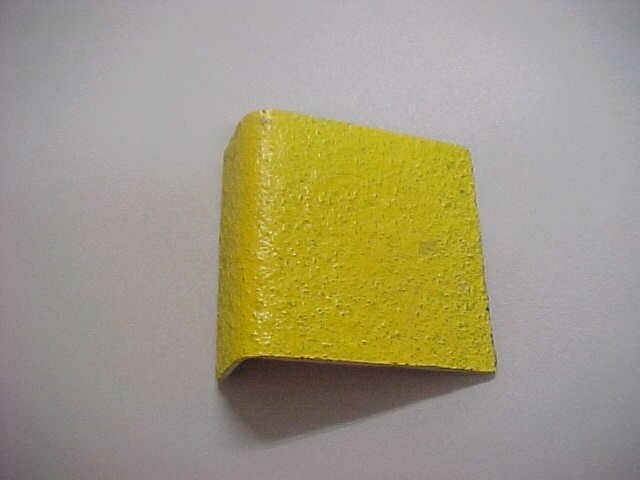 It is used for the production of flat panels for the transport industry through to concrete formwork etc. Major projects have been completed over FDL's history, all to strict deadlines using critical paths and other time management systems - ensuring your project is ready when you want it. in-house capabilities mean your project is all done in the one facility - allowing for better project management, control and continuity throughout. We have been involved in projects large and small, in both New Zealand and Overseas. We have come up with innovative solutions for our clients, most times from just photos or sketches. If you have a project in mind why not have a look and see what we have done then give us a call to see what we can do for YOU! Due to the nature of composites, Fibreglass Developments are able to offer a range of products for many different industries. From transport to architecture to aerospace - if you can think it, we can design and build it. 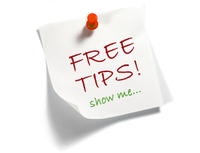 Want some free Fibre glassing tips from our experts?? ​Click on the button to the right to find out!!! 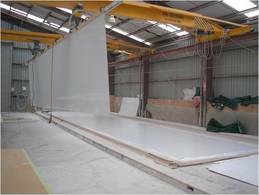 We have New Zealand's largest flat mould which gives us the upper edge in making larger size panels. All our panels are custom made to the customer wishes for both size and finish. In April 2011, FDL qualified to be able to use the New Zealand Fern Mark which represents business excellence, innovation, quality and export success. We have won many awards over the years for excellence, design and innovation. 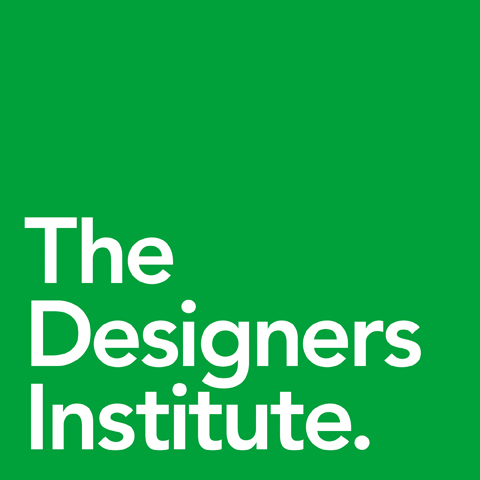 Most recently we won Silver at the Design Awards for the Designers Institute for the work on the Trans-Scenic and Trans-Alpine trains.